If you’ve never tried roasted grapes, you are missing out. The first time I tried them, I put them on a salad, and I’ve been hooked ever since. I also love stuffing my sweet potatoes with whatever random foods I happen upon in my fridge or pantry, so this combination was bound to happen sooner or later. I love how you can stuff a sweet potato and what was once a side dish gets elevated to main dish status. This roasted grape and pistachio stuffed sweet potato is no exception. It’s filling and satisfying as a main course–just add a green salad and you’ve got yourself a meal. I did a quick calorie count, and if you use two large sweet potatoes, one serving (one whole sweet potato) comes in around 280 calories. If you use four smaller potatoes it will be less and definitely more of a side dish. How ever you want to serve this, I hope you decide to give it a try. 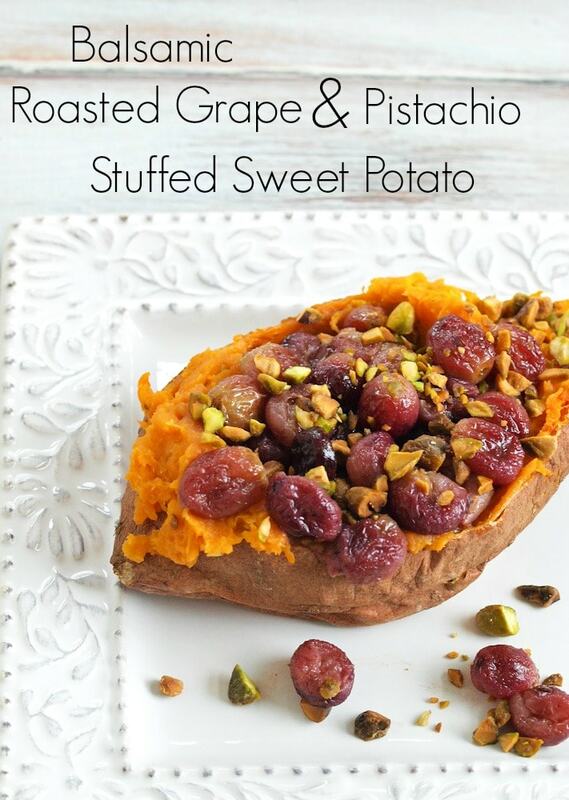 The flavors of the sweet roasted grapes and the crunchy, salty pistachios pair perfectly with the creamy sweet potato. You will also notice a slight tang from the balsamic and a hint of rosemary, which rounds out the flavors. This is definitely one of my new favorite dishes! 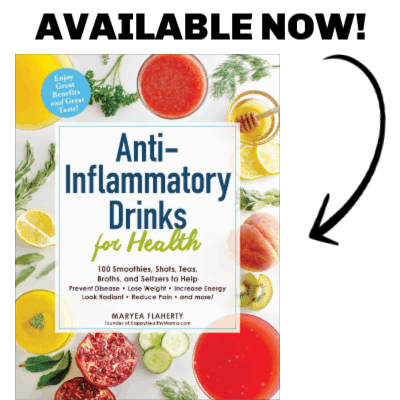 It’s quick, easy, and healthy. Can’t beat that combination. 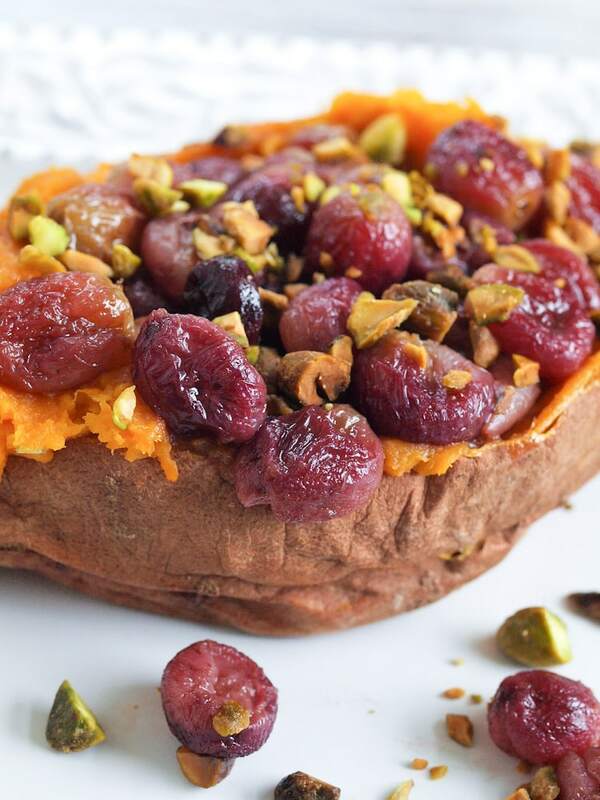 Balsamic Roasted Grapes and Pistachio Stuffed Sweet Potato. Filling enough to be a main course but low in calories! Preheat the oven to 450 degrees. Toss the grapes in the oil and then sprinkle with salt and pepper. (I like to use parchment paper for easier clean up) Roast the grapes for 20 minutes. Once the grapes have finished roasting, drizzle them with the balsamic vinegar and toss to coat. Allow the sweet potatoes to cool slightly, and then cut off a thin layer (about 1/4-1/2 inch) of the top, length-wise. Carefully spoon out the flesh and put it in the bowl. Spoon off the flesh from the top piece you removed as well. You can eat or discard that extra piece of skin. Mash the sweet potato flesh and stir in the melted butter, rosemary, salt, and pepper. Spoon the mashed sweet potato back into the skins. Top each sweet potato with half (or a fourth if you are using smaller potatoes) of the grapes and sprinkle with half of the pistachios. Enjoy! Wow!! This is genius and so simple but flavorful!